“Haunted” - Produced by Howard Benson [Chris Cornell, Kelly Clarkson, My Chemical Romance, Halestorm] - is the third taste of what’s in store on her forthcoming debut LP, following “Sleepwalking,” and her debut single “Coming In Hot” which has garnered over 750K streams across platforms to date. Coming In Hot is also the title track to her 2018 debut LP. The upcoming collection brings to light a signature sound the artist has been developing meticulously since age 13. Now 21, the up-and-coming Mexican-Italian-American solo artist is poised to breathe new life into rock. With her edgy style, sultry vocals, pop sensibility, and unabashed swagger, Diamante draws from myriad influences and calls to mind legends from a spectrum of rock icons including Joan Jett, Pat Benatar, Debbie Harry, Mötley Crüe, Def Leppard, and Bowie. 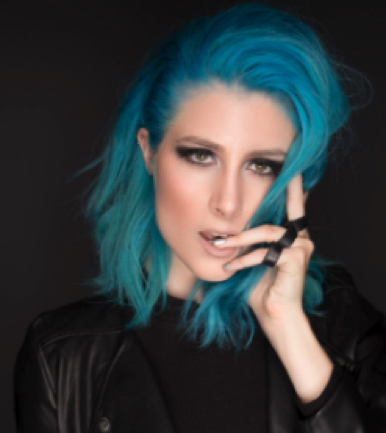 DIAMANTE RELEASES NEW SINGLE "HAD ENOUGH"